Published in CISA’s February 2019 E-Newsletter – Sign Up Here! 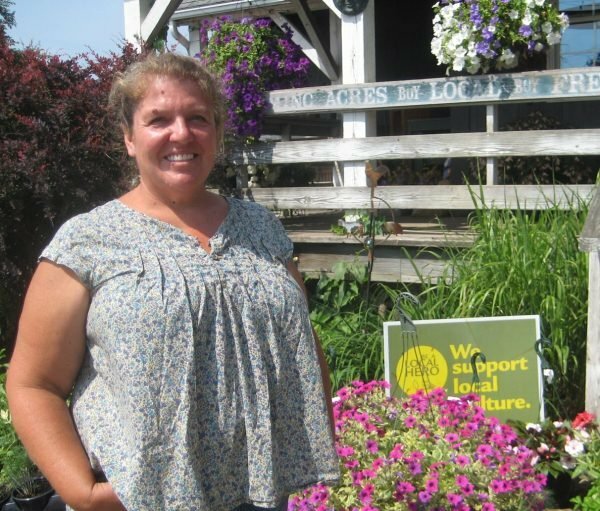 Last autumn, Lenita Bober and her team at Blossoming Acres harvested their fields of sweet corn in rubber boots. “It was like harvesting in a pond,” Lenita explained to me during a recent visit to the farm. Blossoming Acres is known for having fresh, delicious sweet corn at their farm stand—as Lenita proudly says, “We pick it every day!” During 2018, one of the wettest years in recent memory, that commitment to fresh meant strapping on knee-high boots to trek out through flooded fields. The Blossoming Acres Farm Store is open 11 months a year. The farm stand is also the home base for the farm’s’ unique CSA (Community Supported Agriculture) share. Members of the Blossoming Acres Farm CSA receive a debit card at the beginning of the season which they can use at the farm stand to buy anything grown or baked at the farm anytime they’d like. This gives members the flexibility to buy what they want when they want while supporting the farm through their upfront membership payment. Members also get a seasonal surplus box of produce twice a month during the peak growing season. Sign up with the early bird discount by mid March—early bird shares range in price from $150 to $600 and members receive extra value in spending credits at the farm stand.